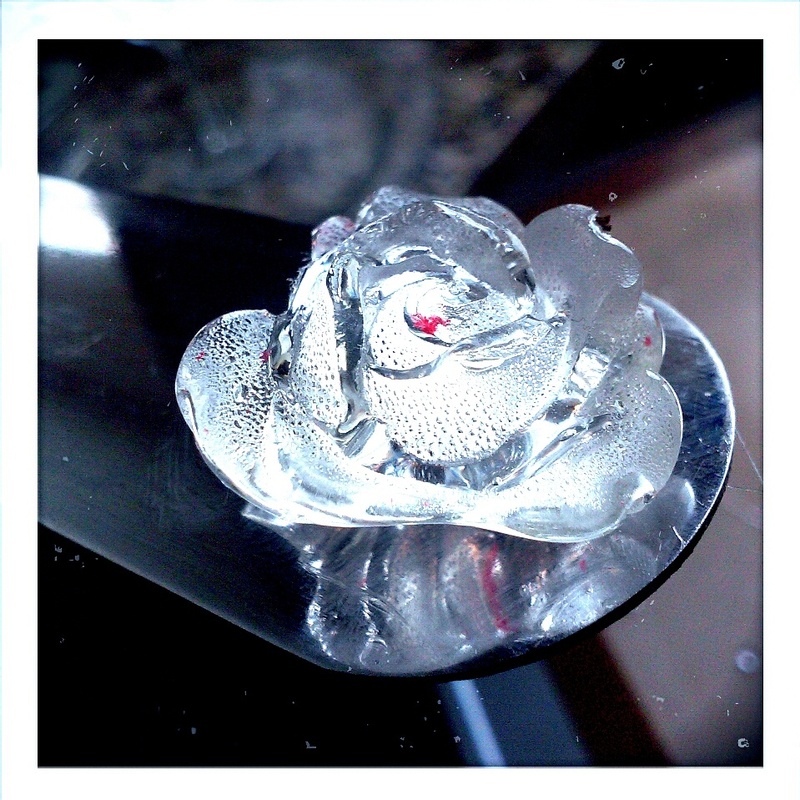 Isomalt Jewels – Appetite Deluxe! For all you bakers and pastry chefs out there I am sure you have visited your local cake supply store and have come across Isomalt sticks or edible jewels to decorate your baked goods with. 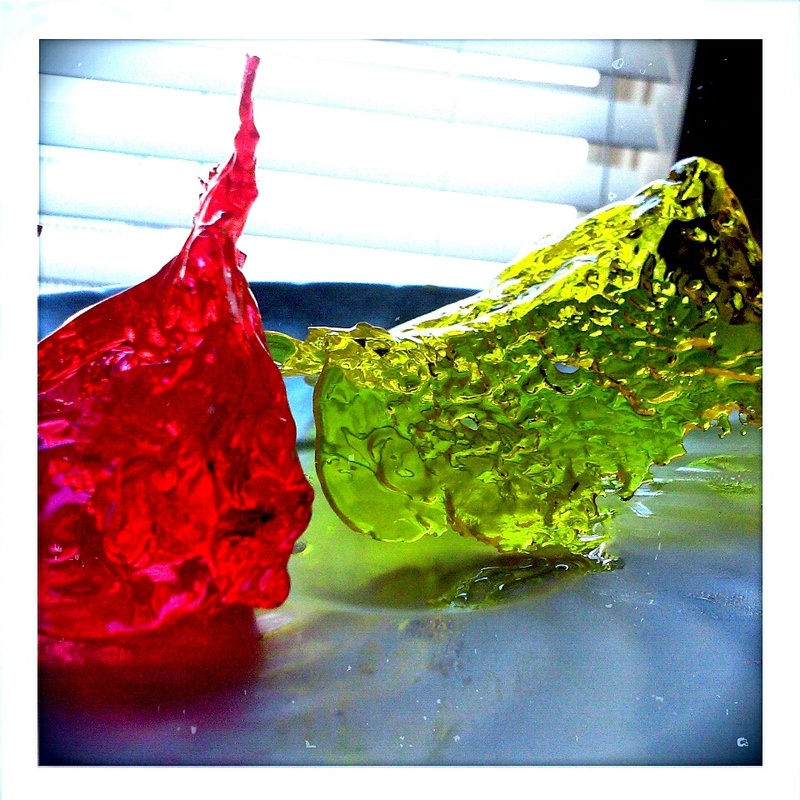 To be honest I had never heard of isomalt until I watched a particular program on the Food Network and the gentleman literally made these cake topping masterpieces using Isomalt in a matter of seconds. 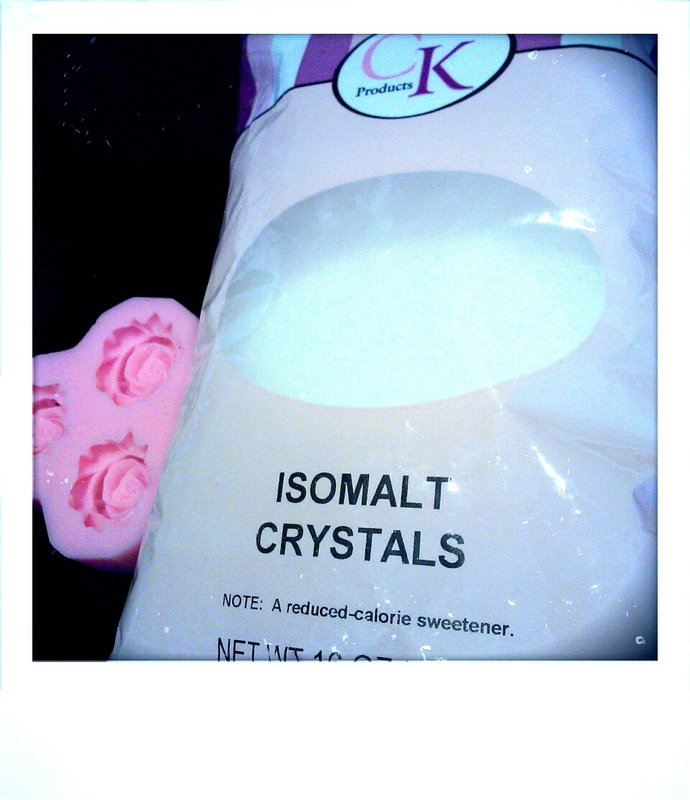 I was so fascinated I Googled what exactly what Isomalt was and I bought a bag the next day! gloves (to protect your hands) PRECAUTION: YOU CAN GET 2nd and 3rd DEGREE BURNS IF YOU’RE NOT CAREFUL WORKING WITH THE ISOMALT! 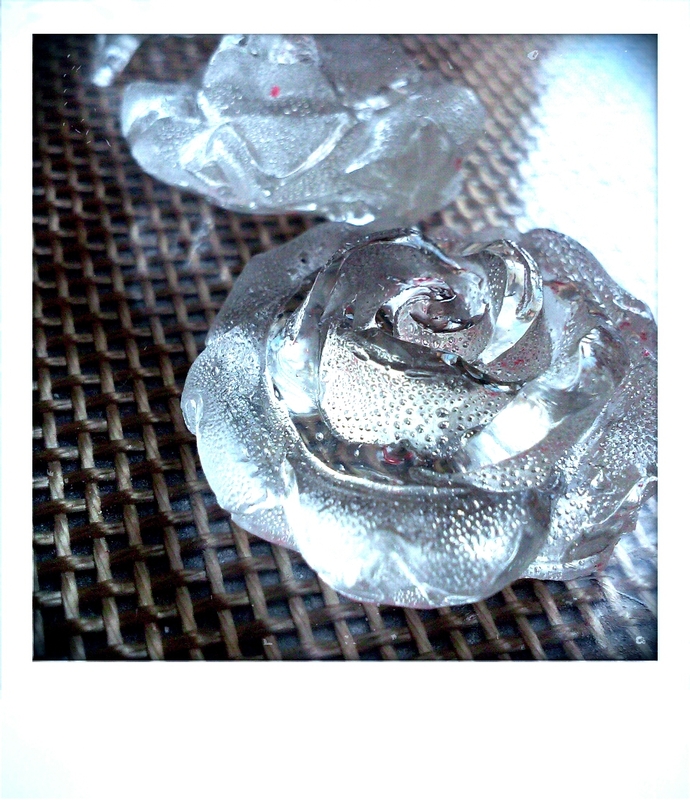 If you are using the isomalt STICKS you can just pop those in the microwave for about 30 seconds or until melted. 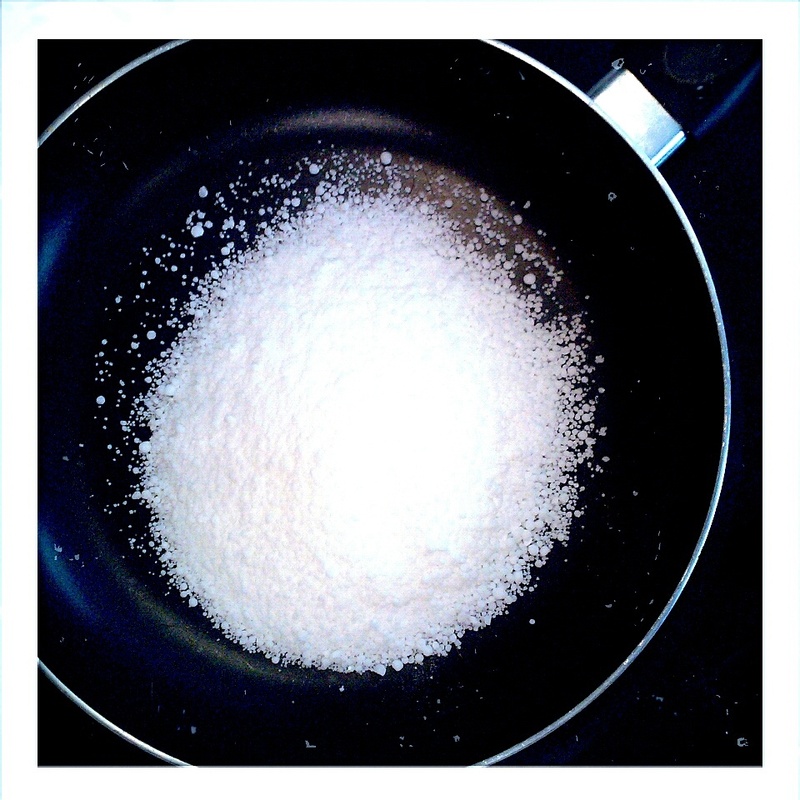 For those using the isomalt crystals all you do is turn your stove on high and place the isomalt in the pot with the stove on. 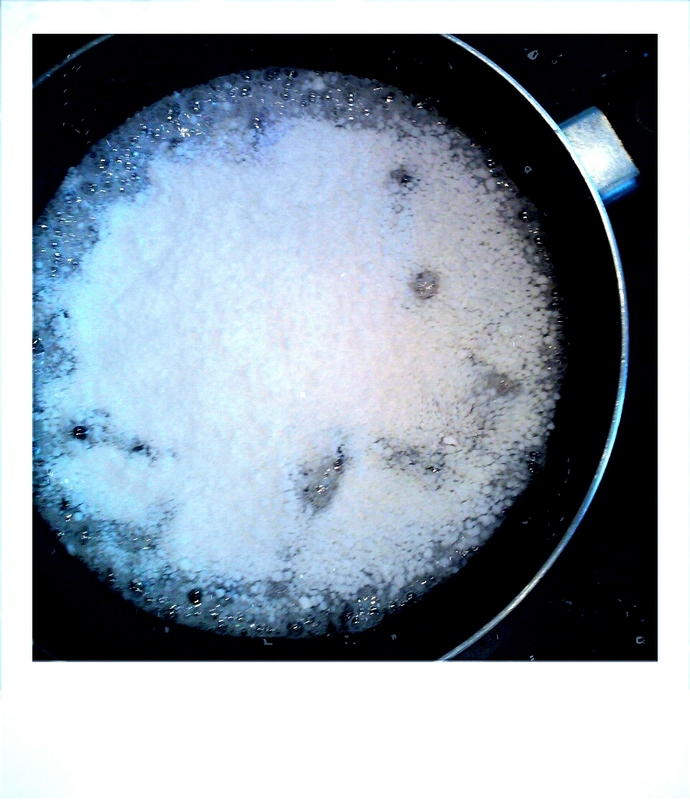 After about 2 minutes the isomalt should be boiling and you need to turn the heat OFF and then wait for the crystals to become liquid form. Just use your parchment paper as a piping bag (DO NOT USE PLASTIC PIPING BAG! 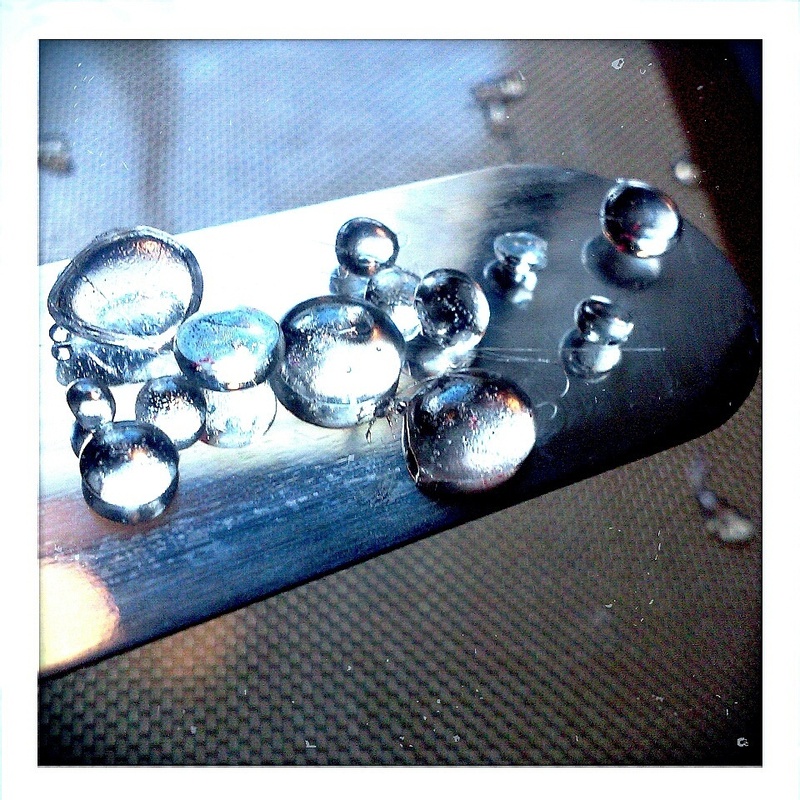 the hot isomalt will burn through the plastic) and drop small amounts on your silicone mat. 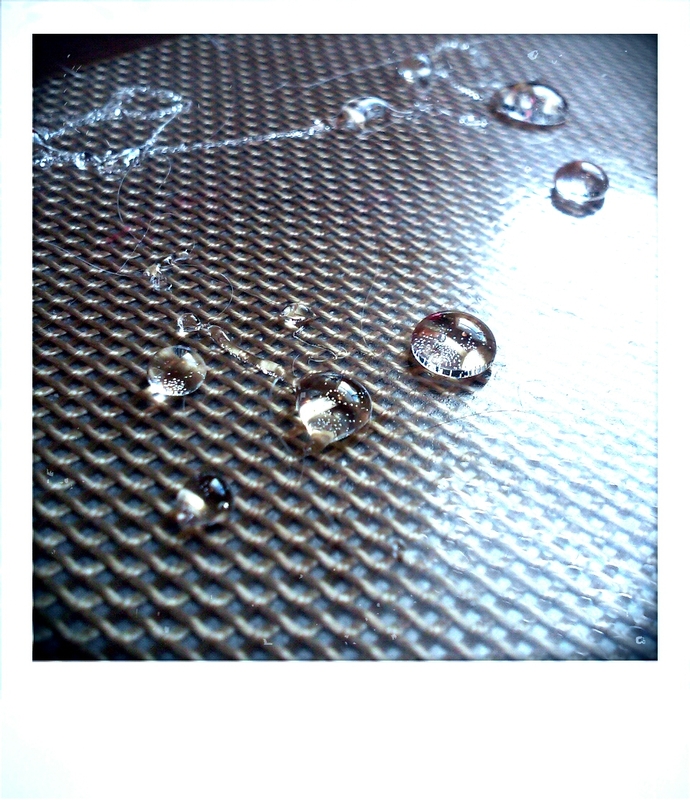 Let dry for a few minutes and you have little ‘diamonds’. 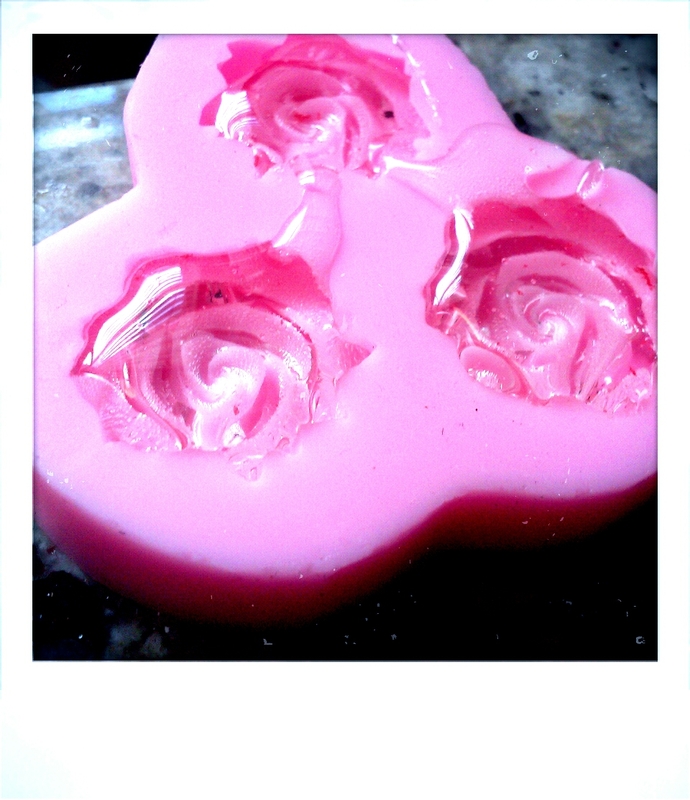 I also used a silicone mold for the roses which they popped out the mold pretty easy. Now you can make your own ‘diamonds’ and ‘gems’! 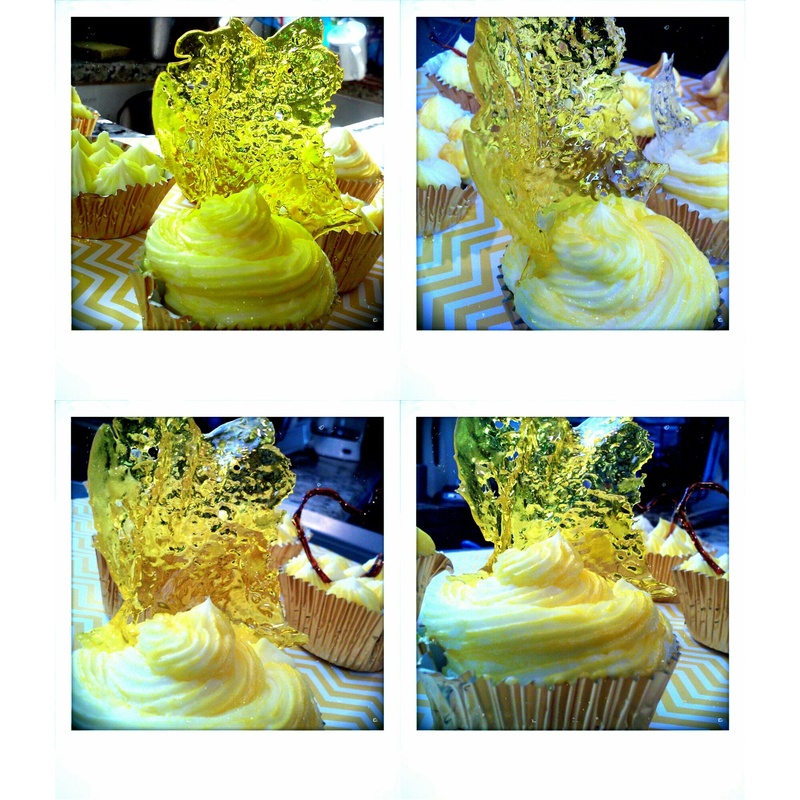 UPDATE: I’ve been playing around with Isomalt for a few days and decided to make little sugar sculptures as decor for my cupcakes. So easy and fun!